Join us the first Wednesday of every month to celebrate our own “Teacher Appreciation Day”. 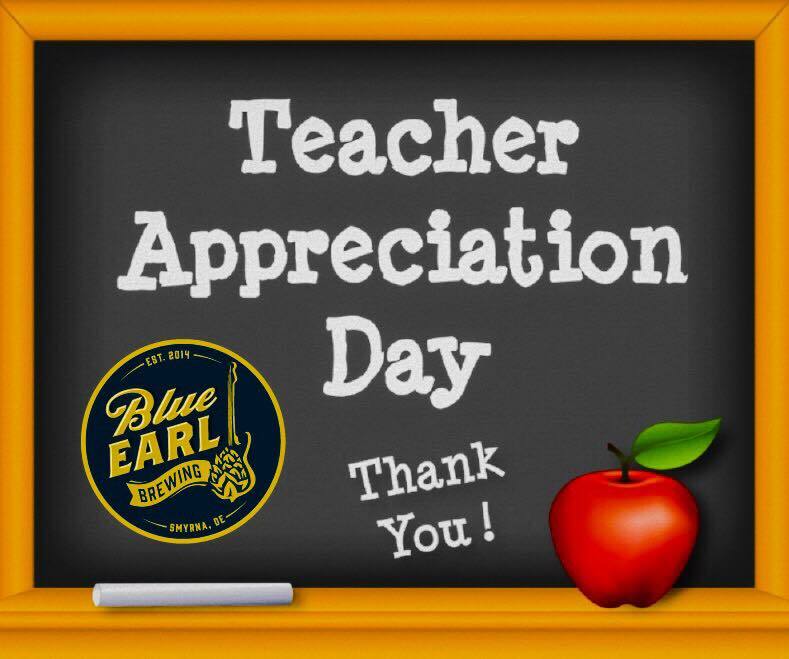 We at Blue Earl Brewing appreciate and recognize the hard work that our teachers put into educating our children and adults. That being said, we offer all teachers $1.00 off any draft beers during the hours of 3pm to 9pm. Thank you teachers for all you do! We recognize your hard work and hope you join us on Teacher Appreciation Day (and any other day you want to visit).